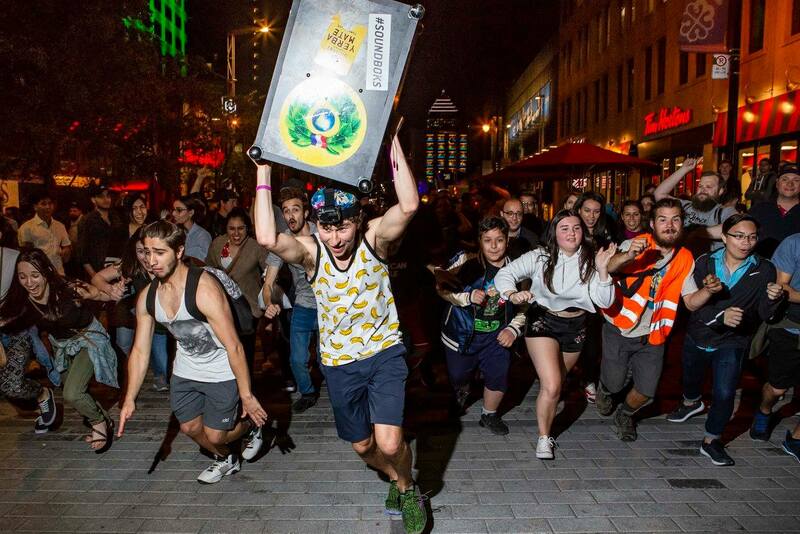 This Halloween weekend, Party4Health is rocking the party off the rails through the streets of downtown with two portable SOUNDBOKS. The event serves as the official afterparty following Vancouver Public Space Network’s infamous skytrain party. The renegade dance party will feature energy-building, heart-pumping party activities and awesome public dance floors, such as the colourful alleyway off of Granville street. In alignment with Party4Health’s goal to create the healthiest, most inclusive parties on Earth, the organizers guarantee that you’ll feel 100% comfortable being whoever you want to be, even if you’re not dressed like it! Just like all Party4Health parties, there’s hilarious, entertaining acts. This one will feature a giant Thriller Dance, a long Soul Train, a spooky Mega Drop, and a dark n’ scary High-5 Tunnel. Whatever these are, they sure sound fun... Party4Health events are designed to provide all attendees with a transformative, high-inducing experience, which makes substances unnecessary. In true Party4Health spirit, the organizers ask that everyone attend sober. But hold on, there’s a positive to it. “When you wake up the next day with an “anti-hangover”, you’ll have enough energy to attend another party!” says Janice Low, the Party Scientist behind the event. Basically, your brain is already equipped with all the dopamine, serotonin and endorphins it needs. When these chemicals are released naturally, it can be a really healthy experience. This is called natural euphoria!